Having played PC/console games since they came into existence, I often wondered about the process, technology and skills required to create a game. I’ve been aware of game engines such as Unreal and Crytek, but to me they seemed overwhelming and requiring some pretty serious 3d game design and artwork. 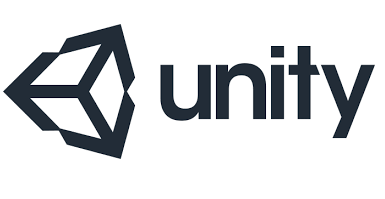 It wasn’t until more recently I became aware of the multi platform supported game engine – Unity3d, which seems quite powerful with a decent development team, learning resources and community behind it, as well as a good pricing model for those just starting out. Unity3d seemed like a good environment to get a taste for game development, but it wasn’t until I started to dig a little further that I realised that I underestimated its capabilities somewhat and learned that it is the leading mobile platform 3d game engine, it’s supported across any flavour of mobile device, consoles, TVs, PCs (incl Linux) and Web! Check out the Unity3d website for more details. My initial concerns were my artistic abilities, with any game you want good or great artwork, this is a skill that only a few of the world’s population is blessed with. This is where the Unity3d Asset Store comes to the rescue, with some reasonably priced as well as some free assets for you to use, such as Audio, scripts, backgrounds, 3d models, animations, shaders, textures and particles. So with all that in hand, where does one start to learn something like this. Well, there is of course the Unity3d learning site with a good source of tutorials, examples and of course documentation. You will also find a lot of other online content and videos on YouTube, but having received some junk mail recently from Udemy.com, out of interest I did a search for Unity3d, and as luck would have it, there are a bunch of Unity3d courses on offer, many of which are highly rated. The one that stood out for me was Learn to Code by Making Games – The Complete Unity Developer. Not for the coding, but much of the course content seemed to cover many if not all aspects of Unity3d (as well as some general game development principals) and introduced the framework in a nice structured and clear manner. The great thing about Udemy, there is no subscription model here, you just pay per course and that’s it. With about a third of the way through the course now I can safely say I’ve not enjoyed programming as much as I have in the course of following some of the lessons and examples so far. There is something about it, whether it’s creating the story, creating an environment and puzzles and putting smiles on kids faces (as I got my kids to play test some of the games), that feels so much more enjoyable and satisfying than creating business type applications. I don’t know, I don’t write games for a living, perhaps it could start to feel routine and mundane after a while. Incidentally, if you’re looking for feedback on your game, let your kids play it, they are brutally honest. The latest completed section of the course involved creating an Arkanoid or Block Breaker type game. I managed to put my own spin on this style of game by giving it a “football” theme. 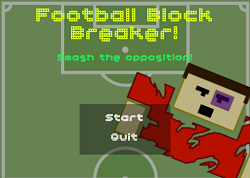 It’s not much, only 3 levels, it’s very unforgiving but still a bit of fun, why not try it out – Football Block Breaker. If you’re thinking about trying some game development and not sure where to start, I can recommend Unity3d and have a look at the courses on offer on Udemy. This entry was posted in Computer Gaming, Gaming and tagged game development, gaming, unity3d. Bookmark the permalink.